Bob Ryan is a lifetime resident of the east side of Columbus, Ohio. He graduated from St. Charles Preparatory High School in 1969, received a degree from the University of Notre Dame in 1973, and a degree in Mortuary Science from the Cincinnati College of Mortuary Science in 1976. He is an active member of St. Catharine Church. 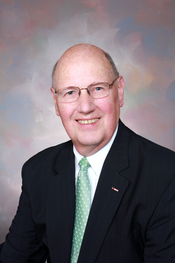 He is also a former Member of St. Catharine School Board, co-founder with his wife of SPICE (Special People In Catholic Education), member of Central Ohio Funeral Directors Association and the National Funeral Directors Association, a Certified Public Accountant and member of the Ohio Society of CPA’s, Trustee and Treasurer of Mt. Carmel Health Foundation, member of Nazareth Towers Board of Trustees, member and Past Officer of the Notre Dame Alumni Club, an Eagle Scout, was awarded Catholic Man of the Year 2001, awarded Papal Night of St. Gregory, is a member of the Knights of Columbus, member of the Shamrock Club, Life Member of American Legion Buckeye Boys State and Boys Nation, member and Past President of the Catholic Men’s Luncheon Club, former Member and Past President of Mohun HealthCare Center Board of Trustees, and a former Member of Diocesan Secondary School Finance Committee. He and his wife Mary Virginia (Mary Ginn) were married in 1975 and have 11 children and 13 grandchildren (and still counting). Andy Ryan is proud to have been born and raised in the heart of 'Buckeye Country', Columbus, Ohio. He graduated from Upper Arlington High School, and received his Bachelors of Business Administration from The Ohio University, and a Post Graduate Degree in Mortuary Science from the Cincinnati College of Mortuary Science. He is an active member of St. Andrew Parish where he volunteers as a lector, Eucharistic minister and served on the Parish Council. He is also a member of the Shamrock Club, AOH, Knights of Columbus, Ohio University Alumni Assoc. 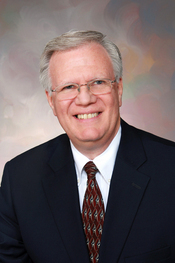 - Cutler Chimes Society, and a past board member Central Ohio Funeral Directors Assoc. A former a Senior football representative to the Bishop Watterson Athletic Assoc. he also coached his children's numerous sports teams. He is also fond of his membership in the 'Hole-in-One' Club (twice) and even more proud of his wife of 30 years, Khristy and their two children, Meaghan and Matthew. 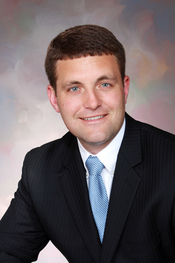 Kevin Michael Ryan, began his Funeral Director career with Egan-Ryan in 2008. 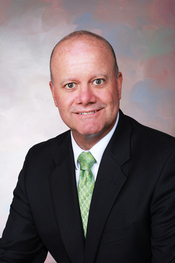 Kevin is a graduate of St. Charles Preparatory School, received his M.B.A. from Capital University, his Bachelors Degree from Miami University and his Associates Degree from the Cincinnati College of Mortuary Science. Kevin is an active member of St. Catharine Parish, a member of the Knights of Columbus, the Shamrock Club, the Athletic Club of Columbus and is an Eagle Scout. Kevin and his wife Gini have three children Madeleine, Thomas, and Finnegan. 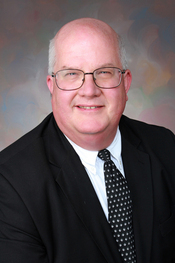 Victor Flower has been with Egan-Ryan since 1988 as a licensed funeral director and embalmer. Victor is originally from Kenton, Ohio where he met his wife, Loraine. He and Loraine have been married since 1980 and have two children, Jordan and Emily. Victor is a guitar and chess enthusiast, and an avid reader. Victor is a member of Vineyard Church of Columbus. 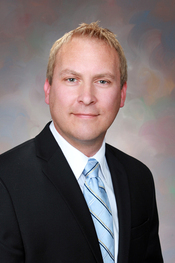 Craig Schwinnen has been with Egan-Ryan since 2001 as a licensed funeral director and embalmer. He previously worked for McComb and Sons Funeral Home in Fort Wayne, Indiana for 4 years. Craig is originally from Delphos, Ohio where he met his wife Traci. They have been married since 1998 and have two children Tori and Dominic. Craig is a member of St. Joan of Arc Catholic Church in Powell, Ohio. 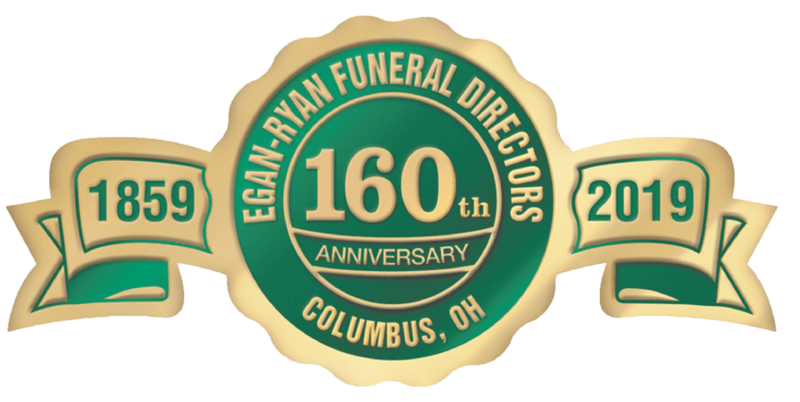 Ralph J. Kownacki has been a funeral director with Egan-Ryan since 2000. Ralph received a Bachelor Degree from Loyola University, Chicago, Graduate School DePaul University, Chicago, and received a degree from the Cincinnati College of Mortuary Science. Ralph is a retired Major of the US Army Reserves, participates in Kairos Prison Ministry, and the Worthngton Inter-Faith Prayer Group. Ralph is an active member of St. Joan of Arc Parish. Ralph and his wife Raenita were married in 1994 and have six children. Bruce Bernheimer is our Prearrangement Coordinator and has been associated with Egan-Ryan since 1992. Bruce is originally from Philadelphia Pennsylvania where he attended the University of Pennsylvania Wharton School of Business. Bruce worked for Fidelity Bank in the Corporate Trust Division for 15 years before coming to Columbus in 1987 with Bank One. Bruce and his wife Lueanne were married in 1987 and have two children, Richard and Bethany. 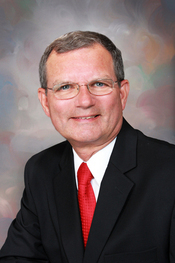 Bruce is a member of the First Baptist Church of West Jefferson and is active in leadership and teaches Sunday School. Rosemary Loomis O. P. is a Columbus native. She is a Dominican Sister of Peace and has been with Egan-Ryan since 1998 as our After Care Coordinator. 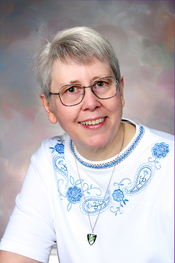 Rosemary has a Master’s Degree in Pastoral Studies from Loyola University and is a certified Bereavement Specialist. She is a member of the National Catholic Ministry to the Bereaved and Parents of Murdered Children and Homicide Victims Survivors. 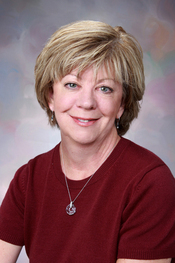 Jan Hinch is our office manager and has been with Egan-Ryan since 1990. Jan is originally from Pittsburgh, PA where she met her husband Karl. She and Karl have been married since 1985. Karl works for DSCC. Jan's hobbies are gardening and she has been a volunteer with pet rescue and home placement, and Jan is a Dominican Associate. 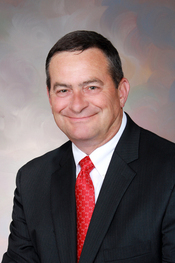 Dale McIlhargie has been with Egan-Ryan since 2007. Dale serves in many support capacities for the funeral home. Dale, a veteran of the Army, retired from Lucent Technologies-Bell Laboratories. His background, experience and talents include electrical and mechanical engineering, business administration, facilities management, and automotive maintenance. Dale is a member of Pickerington Nazarene Church. He and his wife Sue Ann were married in 1972 and have one son Jonathan and three grandchildren.